The Jan Andolan Party today said it was hopeful that the state will start a dialogue with the leaders on granting land rights to tea garden and cinchona plantation residents before the model code of conduct is in place. Yesterday, JAP leaders had met Arup Biswas, the state sports and youth affairs minister, in Siliguri. Amar Lama, bureau member, JAP, today told The Telegraph: "We are very hopeful that the state government will initiate a dialogue... very soon. We are hopeful that it will happen before the model code of conduct is enforced." More than 70 per cent of the nearly 8.75 lakh people in the region reside in tea gardens and cinchona plantations. 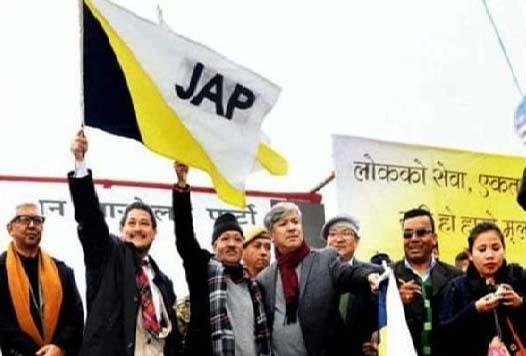 The Parcha Patta Demand Committee, a frontal organisation of JAP, had launched an indefinite protest here on February 17 demanding a dialogue with the state on the issue. Today, JAP president Harka Bahadur Chhetri who visited the dharna venue said: "We will definitely contest the Assembly polls. On December 15, 2015, I had raised the land rights issue in the Assembly. We have discussed it with Arup Biswas and he will apprise the chief minister in detail. I am leaving for Calcutta today... In the Assembly, if I get an opportunity, I will discuss the matter with the chief minister." He said: "We need to draw the state's attention from the grassroot and show the demand has support of people."